Try something new for 2019 Resurrection Sunday. 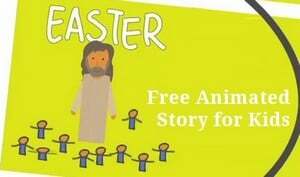 This page links to our best materials for teaching kids the Easter Story. Lessons, Crafts, Printables, Songs, and Games — all 100% free like God’s grace. 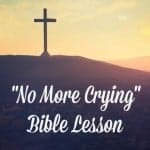 Sunday School Lessons for Easter? Block Party Outreach Idea (plus Easter Egg Hunt) turn your egg hunt into an outreach carnival for the community. More Easter Ideas For Kids | What Should I Teach On Easter? When Is Easter Sunday? – I posted this just so we’d all get the dates right! Open Forum: Does Easter Egg Hunting Belong At Your Church? 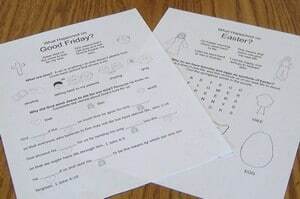 – Sometimes there are different opinions on the use of egg hunting for Easter at your church. 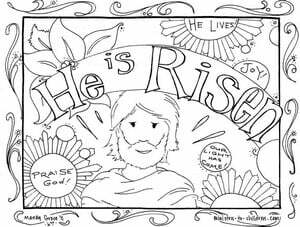 Easter Bible Verses – The resurrection of Jesus is central to the good news. 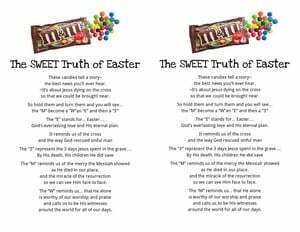 Here are some familiar Bible verses about the holiday. 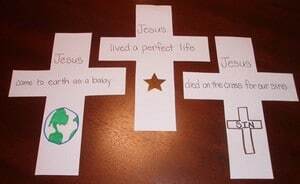 These are useful to add to craft projects to to sprinkle into family conversation about Easter. Does the word “Easter” appear in the Bible? There is a little controversy about this. The King James Translation does include the word in Acts 12:4, while nearly all other translations stick with the Greek phrase to mean passover. I think this is a distraction. In the English language and most church traditions Easter has become the normal word to describe the Sunday we celebrate Jesus’ resurrection. Tony Kummer (Editor) reviewed & updated this page on : April 18, 2019 at 5:02 pm. All our content is peer reviewed by our readers, simply leave a comment on any post suggest an update.